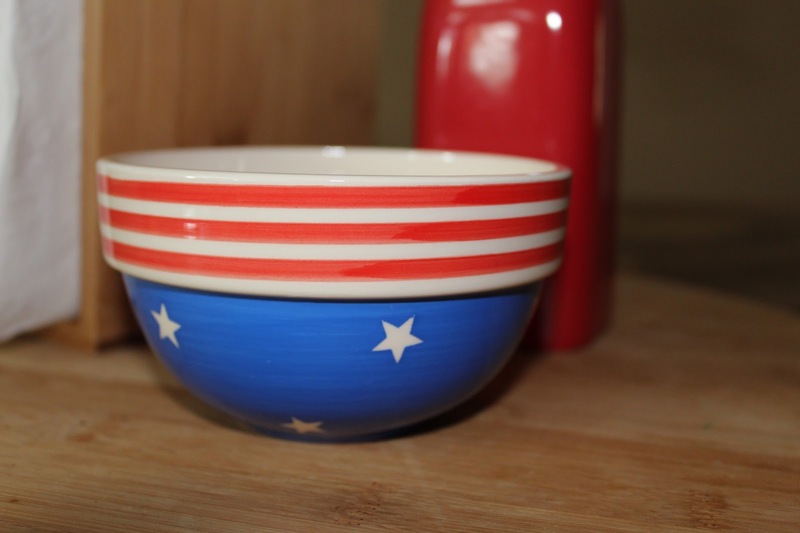 The Hayes Homestead: The Monthly Meet Up - Fourth of July!! Please join my co-host Marie and myself and post about any and all things Fourth of July!! You can come back and post all month long - recipes, crafts, activities, gifts, etc. 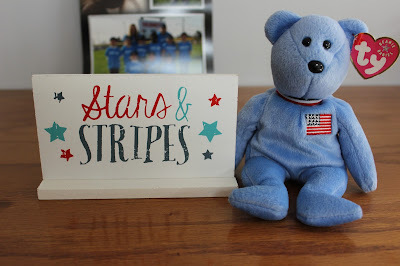 About a month ago, I took a trip to Target and found some ah-dorable 4th of July decorations in their dollar bins. Yes. In their dollar bins! This is one holiday that I basically have no decorations for. I didn't decorate much in our old house because we just didn't have the space for it. But now? Bring it on, baby!! 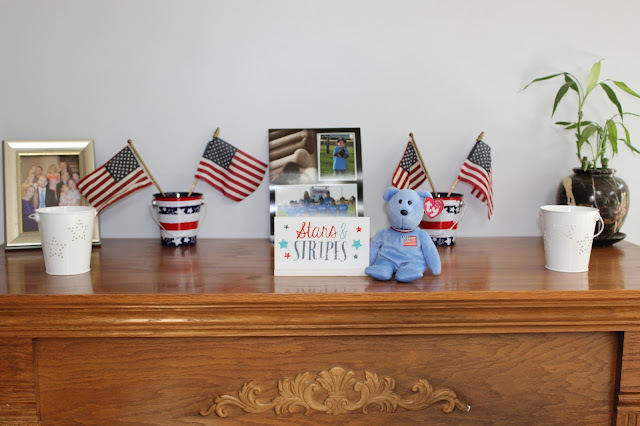 For just $5 and a few things I had on hand, I was able to decorate our mantle. First up, is this cute little sign. They had a few different ones to pick from, but this one was my favorite. 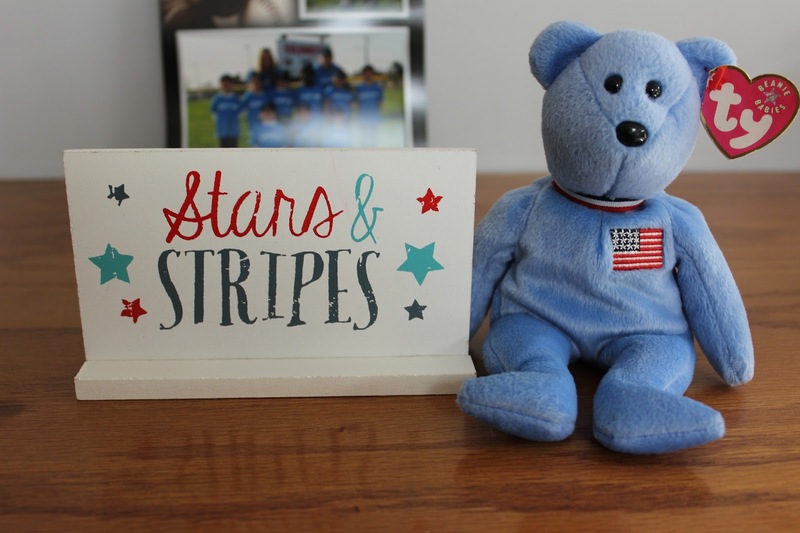 That little Beanie Baby was my only 4th of July decoration up until this year. They had a few different patriotic buckets. I loved the white ones for candle holders. They would be awesome for an outdoor party. 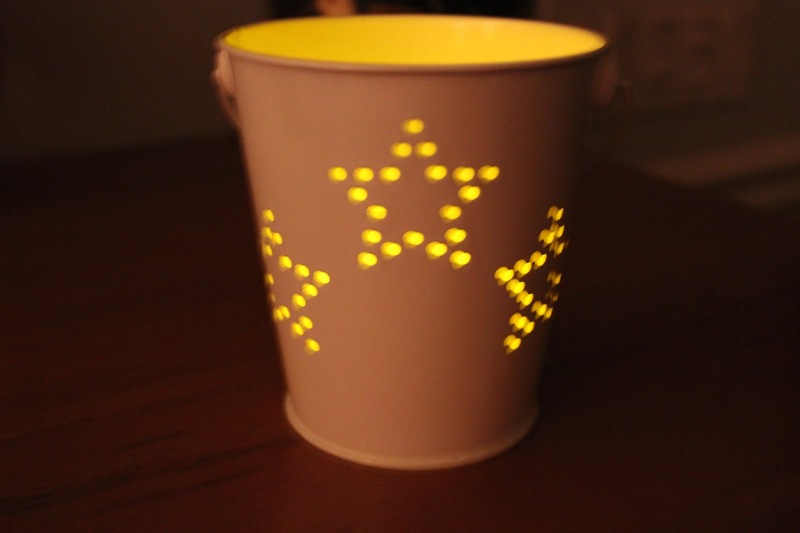 You could put them on every table or even line a walkway with them. 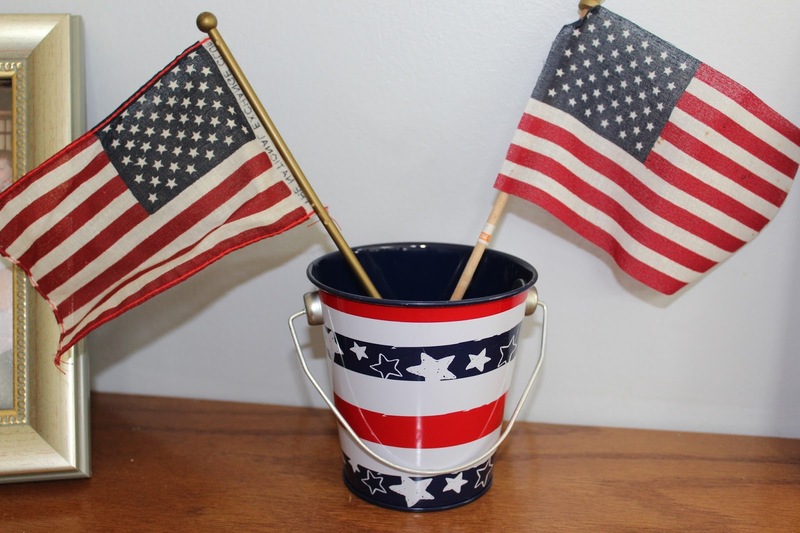 Lastly, I picked up some American Flag buckets as well. We have a lot of small flags from random places - parades, picnics, etc. I put some sand (you could use rocks too) in the bottom and stuck a couple flags in each one. Voila! 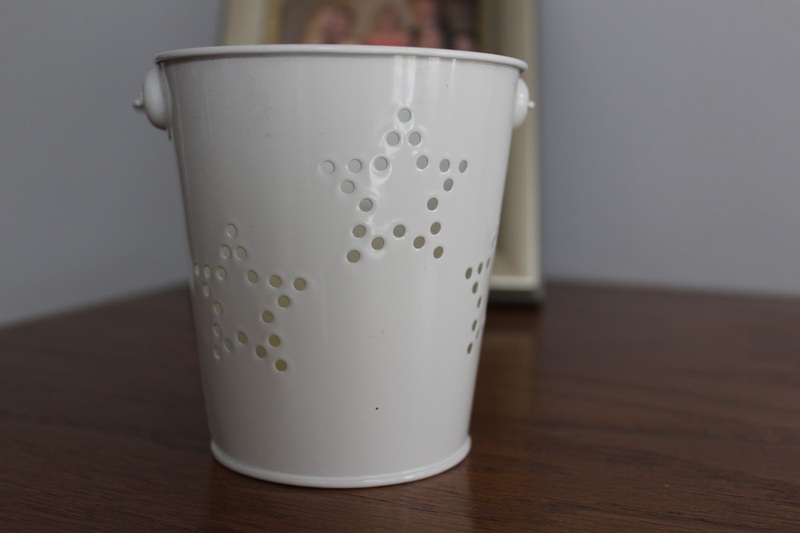 These would make cute silverware holders for a cookout. One other item I found in the dollar bin was this cute bowl. There you have it! 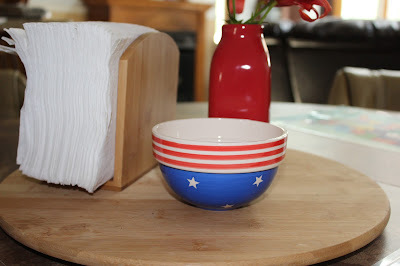 How do you decorate for 4th of July? We'd love to see!! And, don't forget, this party lasts all month long! So, please, come back, link up and tell us all about the fun and festivities you'll be having this weekend to celebrate! I love the dollar bin!!! I always find the cutest things!